Past Perfect » Archive » What’s the Story, Wishbone? Every episode began with Wishbone and his human companions, Joe,Samantha and David facing an obstacle. 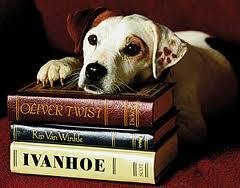 This dilemma always reminded Wishbone of the time a character in a classic tale encountered the same type of problem, warranting a journey into Wishbone’s literary imagination where he played the lead character. I recall the episode “Hercules Unleashed” in which Wishbone became Hercules in the story of The Golden Apples. I distinctly remember the spear-skirted, toga-like garb that Wishbone wore. He was defeating dragons, conquering Mt. Olympus, and as always, looking for his bone. Where did all of this take place? Ancient Greece of course! For a sound studio and stage some place in Texas, Wishbone didn’t do such a bad job of “imagining Greece,” or did he? It wasn’t until the 2004 Summer Olympics that my interest in Greece developed and lead to countless hours researching and learning about Greece. I have always been fascinated with everything-Olympics: the history, the mascots, the athletes, the “whole world coming together” and so on. “Welcome Home” was the official motto for that Olympiad, complete with mascots named Athena & Phevos and an incredible, breathtaking opening ceremony. The motto itself lead me to read about the history of the Olympics, resulting in a plethora of Greek knowledge. Of course there are problems and issues surrounding the concept of “the games.” Over the years, certain countries have been suspended from competition, or separated during the Parade of Nations because of international disputes. 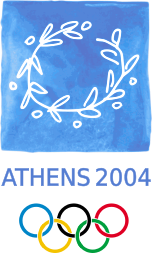 Just look at the official emblem of the 2004 Summer Olympics–a possible claim to authenticity about Greek attire? Maybe so. Aside from the many complications of the Olympic Games and Wishbone’s staged perception of Ancient Greece, these are where my first impressions of Greece developed. Thankfully they have landed me two weeks out from a month-long excursion into today’s Greece. Or maybe it’s yesterday’s Greece…or tomorrow’s Greece. April 25, 2011 | Filed under Watching.